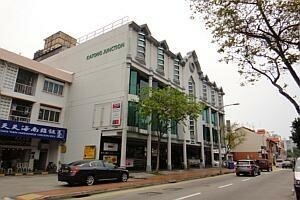 KATONG Junction, a four-storey freehold commercial building at Joo Chiat Road, has been sold for $55.28 million. 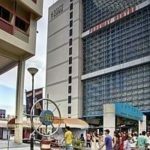 This works out to $1,162 per square foot based on the building’s existing gross floor area of 47,558 sq ft. Katong Junction has been bought by East Coast Holdings, whose shareholders comprise real estate investor Kishore Buxani and offshore investors advised by Mukesh Valabhji of Seychelles-based Capital Management Group. 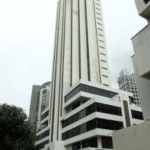 The property is being sold by a company controlled by Tan Suat Hua, an architect by training and one of the original shareholders of Singapore Healthpartners Pte Ltd (now known as The Farrer Park Company), which is developing Connexion, a hospital, medical centre and hotel project. She later sold her stake. 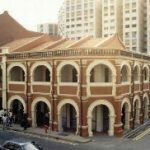 CBRE brokered Katong Junction’s sale. It marketed the property through a tender exercise which closed earlier this month. A strong selling point of Katong Junction is the 30 car park lots in the basement, adds Mr Buxani. 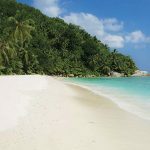 BT understands that the average monthly passing rent in the building is in the $3-4 psf range, which spells considerable upside if the asset is successfully repositioned. At the nearby 112 Katong in East Coast Road, F&B outlets are generally fetching rents of $10-20 psf. However, Mr Buxani is not ruling out the possibility of strata titling Katong Junction and selling individual units. The building was completed in the late 1990s and refurbished in 2007-2008. Its existing 47,558 sq ft gross floor area (GFA) reflects a plot ratio of about 3.56 based on the land area of 13,346 sq ft. This exceeds the 3.0 plot ratio for the site under Master Plan 2008. The site is zoned for commercial use. Market watchers consider the $1,162 psf on GFA price for Katong Junction reasonable. Earlier this year, Oxley Holdings paid $76.1 million or $1,298 psf of potential gross floor area inclusive of development charge for GRTH Building at 66 East Coast Road.  Katong Junction’s $55.28 million transacted price is 10.8 per cent below the latest valuation of $62 million ($1,303 psf on GFA) for the property in August this year. 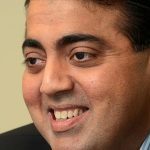 Mr Buxani, a former Goldman Sachs banker, has also partnered Mr Valabhji’s Capital Management Group for other property investments in Singapore. 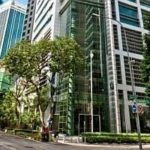 Earlier this year, they bought 51 strata-titled office units at Parkway Centre in Marine Parade Central for $53.375 million or $1,043 psf on strata area. Since then, 10 of these units have been resold at an average price of $1,600 psf. Parkway Centre is on a site with a balance lease term of some 68 years. 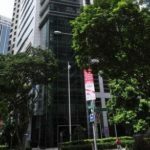 In 2007, the partnership acquired six floors at Samsung Hub at Church Street from OCBC Properties for $122.4 million or $1,560 psf. 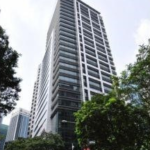 Last year it divested one of these floors – the 20th level – to a Chinese investor at $2,800 psf. “We’ve recently received an offer of $3,000 psf for another floor,” said Mr Buxani. Samsung Hub has 999-year-leasehold tenure. Mr Buxani and Capital Management also own a half stake in Finexis Building (formerly GMG Building) at 108 Robinson Road.